Dress up any room in party perfect pinks with this charming bouquet of light and dark pink roses. Its as pretty as a picture, and will be welcomed with open arms. 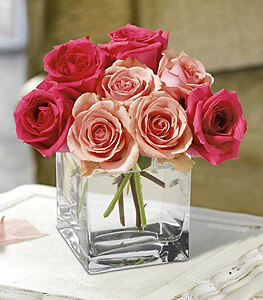 A clear glass cube, filled with pink roses.